A Barnsley man involved in a drug supplying network has been ordered to pay back the £35,000 he is believed to have made from his criminality. 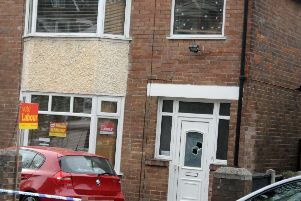 Simon O’Hara, aged 51, was part of a gang which supplied heroin in Barnsley and Doncaster. Police raided the Dunroamin caravan site in Smithies Lane, Barnsley, in February 2013 and found a large quantity of illegally-imported cigarettes, along with £34,000 in cash and 85 cannabis plants. Further searches of O’Hara’s home in Sandhill Grove, Grimethorpe and a caravan site in Ings Lane, Wombwell, led to the discovery of more illegally-imported cigarettes, as well as four kilograms of heroin. In total, around 1.7 million cigarettes, worth £400,000, were recovered. South Yorkshire Police detectives who worked on the investigation described O’Hara as the ‘storeman’. At a Proceeds of Crime Act hearing at Sheffield Crown Court he was ordered to pay back the money that police were able to prove he accrued through his criminality. He has three months to re-pay the £35,000 or face 15 months behind bars. Detective Sergeant Joanne Kemp, from South Yorkshire Police’s financial crime investigation unit said: “The Proceeds of Crime Act means that anyone who profits from crime can potentially lose the financial and lifestyle gains they have enjoyed. “We worked tirelessly for 18 months as part of this investigation to identify O’Hara’s ill-gotten gains and to be able to secure a confiscation order at the hearing. Anyone with information about those living from the proceeds of criminal activity should call South Yorkshire Police on 101 or Crimestoppers on 0800 555111.